Cheesy Sausagllini Recipe-Made With Sausage Crumbles! 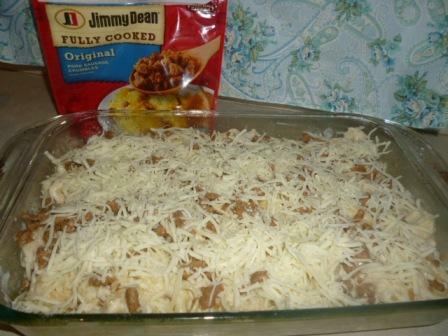 I’d like to introduce you to my new secret weapon in the kitchen–Jimmy Dean Sausage Crumbles. Have you seen these yet? They are fully cooked sausage crumbles that turn any ol’ meal into super fast, easy, and tastes great meal without all the effort of thawing and cooking! These are perfect for anyone with a busy life or if you’re caught in pinch. There are 3 varieties to choose from: Original, Hot & Spicy, and Turkey sausage. I found these sausage crumbles in the refrigerated meat section, by the bacon in my grocery store, and thought they would be perfect in a new recipe that had brewing in my head for a few days. I had some of my favorite people coming over for dinner on Sunday and I wanted to IMPRESS them. I wanted this new dish to be cheesy, sausagey, and tasty! So I created Cheesy Sausagllini! You can “pin it” to Pinterest by scrolling over the picture to save this recipe for later! I used 2 bags of frozen tortellini. If you are unfamiliar with tortellini it is a round pasta filled with cheese (yummy!) and commonly found in soups. Not today though, today it is used in an incredible pasta bake! You can find this in the frozen pasta section at your local store. If you are short on time you could throw a pack or 2 of the refrigerated already cooked tortellini and make this a super fast-throw together-meal. Boiling the water was the longest part in making this dinner. 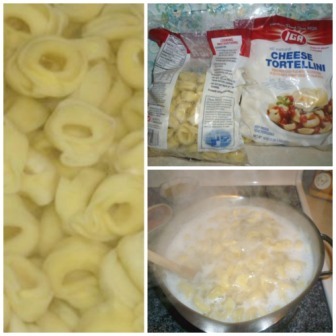 It only takes 3 minutes to cook this tortellini once the water is boiling-when it is “done” it floats! Once your tortellini is cooked, drain it. Then add your jar of Alfredo sauce and cover the pasta evenly. For easy clean up purposes–spray your pan! Now it is time to layer all this goodness together. Pour a single layer of the Alfredo covered tortellini into the bottom of your dish. 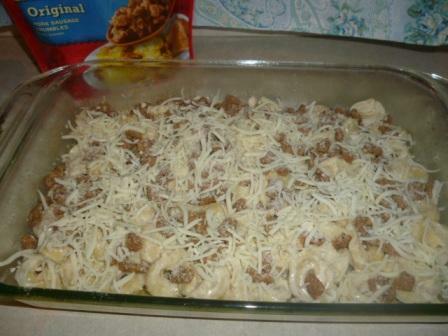 Then put a layer of your Jimmy Dean Sausage Crumbles on top. Top that off with a generous dose of Parmesan cheese. Yum! Then repeat the layering process. Tortellini, sausage, spices, Parmesan cheese, and mozzarella cheese–except this time make sure you have a good covering of cheese on the top! I topped it off with some dried oregano and basil. Now this dish is ready for the oven! The next step is to EAT! YUM! Next time I am going to make it with Jimmy Dean’s Hot and Spicy Sausage Crumbles to add some kick to this meal! Below is a quick text only version of the recipe. 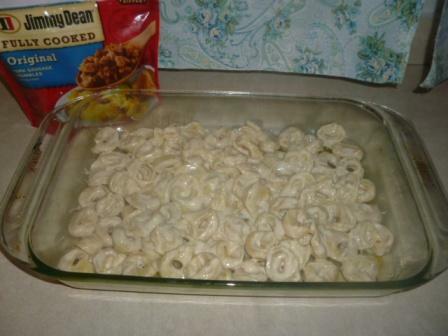 Cook tortellini pasta according to directions & drain. Mix it with a jar of alfredo sauce. 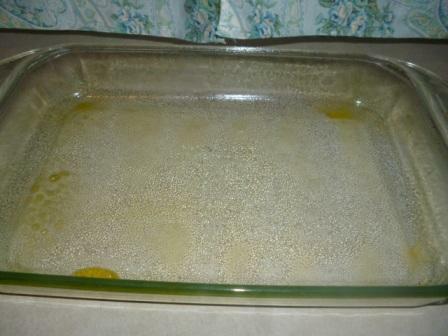 Spray a 9 x 13 casserole dish for easy clean up. 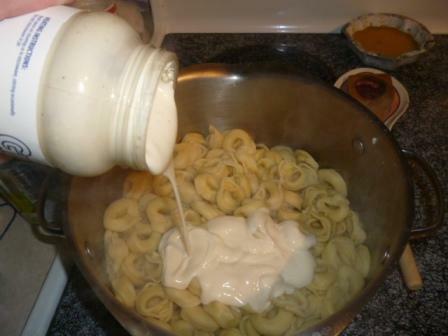 Pour in half of alfredo covered tortellini to make a single layer on bottom of dish. 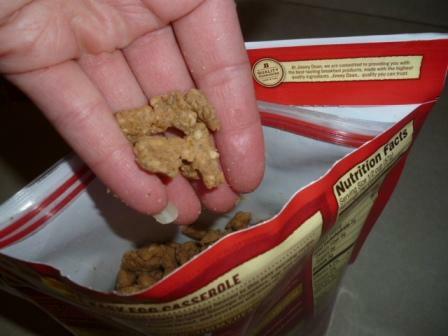 Add half a bag of the the Jimmy Dean Sausage Crumbles. 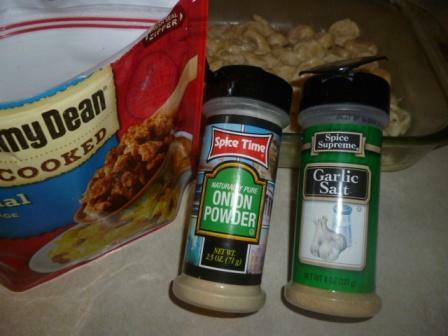 Top with seasonings of choice, (I recommend garlic salt and onion powder). Sprinkle with Parmesan cheese & Mozzarella cheese. Then repeat the layering process. 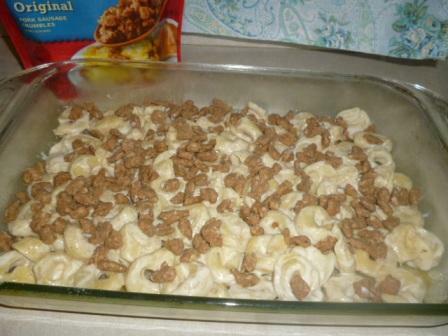 Tortellini, Jimmy Dean Sausage Crumbles, spices, Parmesan cheese, and mozzarella cheese. (Optional: top with dried basil and oregano). Bake in a 350 degree F oven for 20-30 minutes or until bubbly and the cheese starts to turn golden! Enjoy! #spon: I’m required to disclose a relationship between our site and Jimmy Dean. This could include Jimmy Dean providing us w/content, product, access or other forms of payment. I love this recipe, the directions and step by step photos make it look Awesome. Going to try this one. Thanks Tammy! Let me know how it goes! It was a huge hit at my house! I definitely want to make the recipe you posted. I have used Jimmy Dean Sausage Crumbles in queso. This sounds good, but I’m not a fan of alfredo sauce. I think I’ll change it out for spaghetti sauce and try it with some mushrooms added in. This looks really yummy! I myself could not eat it as I am a diabetic and I also have to limit my fats. But I do like sausage and I would use these on our low carb pizza recipes. Instead of pizza dough, we use flattened chickenbreast and put pizza toppings on them, then bake. That is a genius idea. My step mom is diabetic I will have to tell her this idea, and make it for my family next time we want pizza. I would love to try this recipe…I can think of dozens of uses for the crumbles….fast for scrambled eggs, pizza, gravy, etc.! That sounds very yummy, gonna have to try that one! I would use them in scrambled eggs with cheese! I would use it on pizza!!! Would make a great topping addition for homemade pizza night! I would use it in omelettes with green pepper, cheese and this sausage!!! Yum! I would use them in scrambled eggs with onions,green peppers, and some pepper jack cheese! Love this recipe! These crumbles would make sausage gravy even easier than it already is to make!!! That looks delicious! I would use the crumbles to make super fast breakfast burritos! Great minds think alike: I always add a bit of milk and shake to get the last of the creamy sauce of of the jar (for red sauce I usually add a splash of red wine!). Pinning this. Oops, forgot to say that I also want to try these in a baked breakfast strata. When my family travels we like to stay places with a kitchenette so we’re not eating every meal out, and not having a greasy sausage pan to wash would be awesome. I’d use them in a breakfast casarolle. I would and have used them on Pizza. Love how easy it is! Cheesy sausagllini sounds yummy. Must try soon!! Love using crumbles on pizza!! Pizza or ziti. it’s a toss up. I make my own pasta and this would be perfect as an addition for my boys. I would be surethey would love it. Have to try your recipe as well. Thank you for chance. I would use it for a crock pot recipe I found on face book. I love the new breakfast muffin recipes you can find on Pinterest, and these would be perfect for that! I use them in my crock pot breakfast casserole. Ziti, chili, pizza, breakfast egg cups to go – everything! This recipe looks delicious and easy. The crumbles I would add to scrambled eggs, eggs and fried potatoes, pizza, my homemade stromboli and pizza. The Cheesy Sausagllini looks good! I saw the other day, a breakfast muffin , It uses sausages , cheese and eggs and put into muffin pan and bake. I really want to try it. This dish looks good, I wish I had the ingredients to make it for summer. I think these would be great to combine with chopped meat in Sloppy Joes to take them to a whole other level. Pinned this for later, also I’d use the Jimmy Dean Crumbles for my Cream cheese & sausage stuffed Jalapenos!!! ((1955nursehjc4me(at)myway(dot)com)) Thanks for the chance…. looks oh so delicious!! I would use it in s breakfast skillet. I would make this with hash browns, eggs, and cheese and a can of cream of chicken soup in a cassarole dish for a breakfast casserole. This would go great in some scrambled eggs with some asada or pepper jack cheese – one pan too! 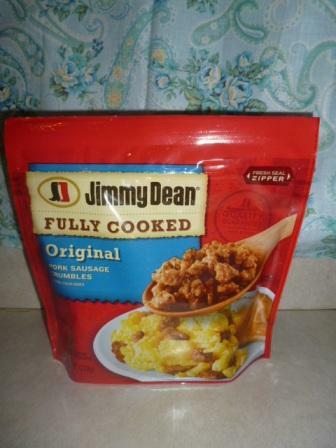 I would use the Jimmy Dean Sausage Crumbles on our homemade mini pizzas or in a breakfast casserole. Thanks for the opportunity to win! I’d use them to make sausage bread…yum! Id use them to add some sausage to my pepperoni bread yum!!! I could use the sausage crumbles for all kinds of things. Like breakfast burritos, lasagne, A casserole, or on top of pizza. Your recipe looks awesome! But I would use the sausage crumbles to add a little zip to my husband’s spaghetti plate. My kids don’t like meat in their sauce, but my husband does! This looks delish! I am definitely going to try this! 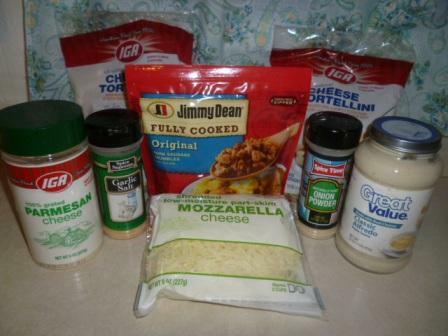 I would use the Jimmy Dean Sausage Crumbles to make homemade pizza!!! I buy pizza dough from Fresh and Easy and use Ragu Homestyle Pizza Sauce, Kraft Italian Cheese Blend, green peppers, red peppers, onion, and the sausage crumbles! YUM!!! My spin on Sheperd’s Pie! Not a breakfast meal but SO yummy! Layer in a casare dish with cheese, mixed veggies and prepared instant (or homemade if you aren’t going for ULTRA fast and easy) mashed potatoes, put under the boiler until warmed and browned on top (either the cheese or mashed patatos depending on how you decided to layer), serve and enjoy! Might add this to lasagna and I have a breakfast casserole that this would be great in! Any coupons available? It looks very yummy and I can’t wait to try it. OMGOSH!!! I will DEFINITELY be tryin’ this! TY so much for sharing! that looks and sounds sooooo good!! i think this is one recipe that i’m definitely gonna try!! I’m gonna try this, it looks yummy. We love sausage and eggs scrambled together. this looks so good—my family would like it! thanks bunches for sharing. I love scrambled eggs with sausage bits and caramelized onions. Then melted cheddar cheese on top! I love it many ways.omelets,sausage gravy, on pizza! i love to use them in a breakfast scramble, fry a few potatoes, add the sausage, then some eggs,cook it all up, throw in a tortilla, and its a quick delish breakfast. Never been one for breakfast casseroles but this looks like something I will try!!!! We have used sausage in many recipes instead of beef. Such as goulash, lasagna, spaghetti, anything italian. Then we use it in meatloaf, our potato dish where we slice up potatoes, throw in sausage, butter, green peppers and onions with paremesan cheese. I love sausage it is a great flavorful meat that just adds a little kick! That looks delicious! I am gonna try it. I usually use them in my breakfast casserole. This would be great in sausage and gravy it would make it super fast and easy. Fry it up in hash browns sounds good to me. This recipe looks so yummy and easy!! With 7 kids I like quick and easy meals so I will save this to try later ! 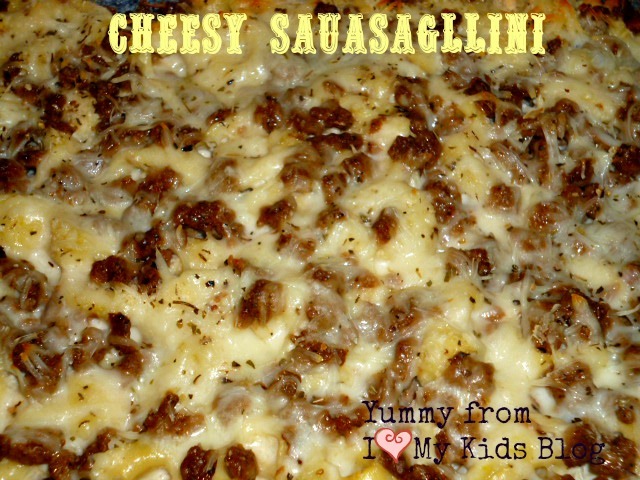 The Sausage Crumbles would make awesome omelets, cheesy sausage dip and pizza!! Thanks for sharing this awesome recipe!! We always put sweet sausage AND spicy sausage in our spaghetti sauce! Hands down, it’s my favorite food! Pizza and omelets come to mind first but there are so many ways I could use it. This looks AMAZING! Every time I see it cross your page, I want it!!!! I am having this ASAP, maybe even tonight. I had been craving cheese dip with Jimmy Dean sausage, but now I think this may be my new fave! Seriously. Thank you for sharing!! That looks yummy. I would use the sausage in breakfast burritos, eggs, cheese and peppers. 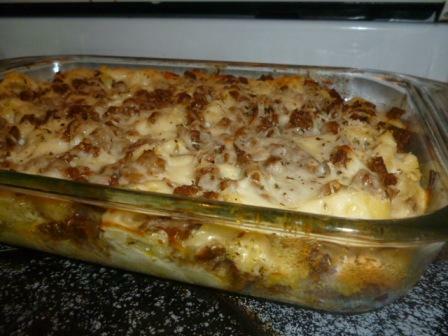 I love to use sausage in breakfast casseroles, yum! I love to use sausage in breakfast casseroles, yum! You recipe sounds great! I would use the sausage in a strata or an omelet – delish! I made this for dinner tonight, It is sooooo good, I only see 1 problem with it…..If you are not careful, you can eat the whole pan!! I buy these for making homemade pizzas. Love the crumbles! Cant wait to try your recipe, looks soo good! Looks so yummy and so simple to make. Thanks for sharing. I would use it to make penne with vodka sauce! Just sauté some onions, mushrooms and peppers, warm up the crumbles and sauce and put it over penne! Delish! I would sauté some onions, mushrooms and peppers, warm up the crumbles and vodka sauce and put it over penne! Delish! I would saute some onions, mushrooms and peppers with the crumbles and make an omelet. I would add some onions, mushrooms and peppers with the crumbles & make an omelet. I would add some onions, mushrooms and peppers with the crumbles for an omelet. 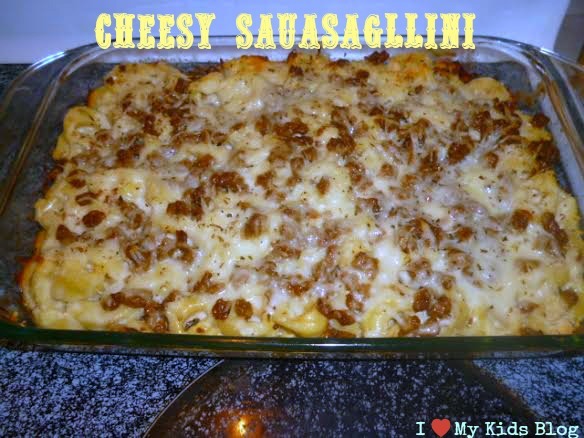 Cheesy sausagllini sounds great! I love making sausage,red and green peppers,onions,mixed with scrambled eggs and cheese on wraps..we adults add a little sriacha to ours,soo easy and yummy! 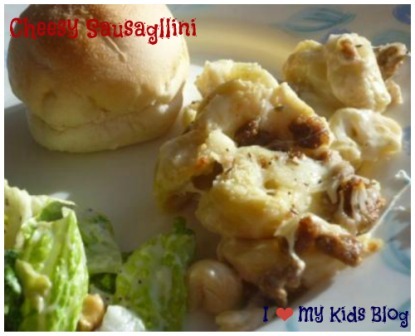 Cheesy sausagllini sounds great! I love making sausage,red and green peppers,onions,mixed with scrambled eggs and cheese on wraps..we adults add a little sriacha to ours ,soo easy and yummy! Cheesy sausagllini sounds great! I love making sausage,red and green peppers,onions,mixed with scrambled eggs and cheese on wraps..we adults add a little sriacha to ours ,so easy and yummy! Biscuits and homemade sausage gravy with over easy eggs! Yummy!! This looks so yummy..the sausage would be so convenient to have on had to throw in eggs,pizza,etc! 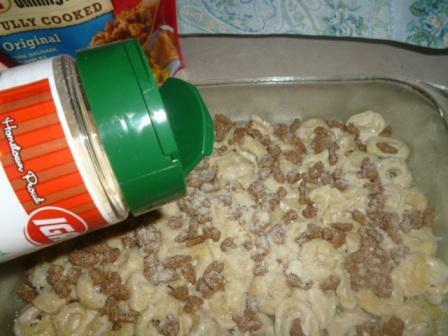 I use Jimmy Dean Sausage Crumbles in jarred pasta sauce. It give the sauce a little extra zing, and a much better flavor. These would be great for pizza or brinner! These would be great for pizza or brinner! My son is a huge sausage fan so these would be awesome for us. Would be great in lasagna!! I would use it in breakfast casserole. I want to try a breakfast casserole. I like to use sausage in lasagna!! Love my moms sausage cream cheese dip!! That sounds delicious! I love it when my hubby makes lasagna with sausage in it. I’ll have to pick up some Jimmy Dean crumbles and save him a step! My gave dish would have to be sausage, cheese, potatoes casserole. I love just a plain spaghetti dish made with ground sausage. Yum! In breakfast burritos, or sauce,or pizza,or dips, yummmmy! I am all about some sausage and cheddar stuffed jalapeno poppers!! Oh…the possibilities!!! I haven’t seen this product in a store near me yet; but, it sounds like am item we will be buying frequently! Your recipe sounds delicious, and I will by trying it as soon as I can find the crumbles. I’m also looking forward to using them in breakfast casseroles, sausage gravy, atop pizza, in dip and my sausage & pasta soup, which is a family favorite. Really, the ideas just keep coming & what a time saver! Thanks for the idea and sharing the new product!